A new Mineral Resource Estimate and Ore Reserve has shown that there is potential for an additional five years of life at the New Luika gold mine. New Luika gold mine is located in the Mbeya region, Southwest Tanzania and is fully owned by Shanta Gold mining company. 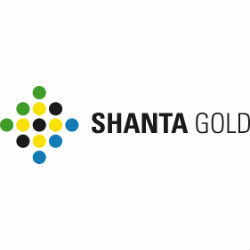 Shanta Gold focuses on gold production and exploration in East Africa and is listed on the London Stock Exchange (AIM) with ticker symbol SHG. According to the company’s statement in-situ Indicated Mineral Resource for New Luika increased by 9% to 692Koz with an average grade of 5.5g/t. The company also indicates that there is a strong potential for underground mining at the mine with the possibility of a five year life extension. Shanta’s CEO, Mike Houston, announced that the finding was part of an ongoing effort to optimize the life of the mine at New Luika and help gain an understanding for other potential targets. Gold represents an important part of the Tanzanian economy with gold production of roughly 40 tonnes a year and gold exports valued at USD 1.86 billion for the year ending August 2013. Tanzania is the 4th largest gold producer in Africa after South Africa, Ghana and Mali.